When you think of an Italian restaurant, what comes to mind? A rustic 'authentic' restaurant with a vast array of cichetti and decorated with cured meats hanging from the walls? Or a swanky establishment that boasts fresh fish from the menu with Italian waiters that cater to your every whim. Fumo, which is a sister restaurant of the Italian chain San Carlo, is as authentic as they come, but what makes it different from the rest, is the menu; the cichetti-tapas are not starters or sides, but the whole meal. It's been done before, but its still refreshing and a novel concept, which almost sets the tone for the experience. Opposite Louis Vuitton, decorated beautifully modern, marble tables, with clever lighting, cured meats adorning the stylish glass/mirror walls and windows make for a very fashionable meal. Having recently come back from Barcelona and only eating tapas, I had high hopes for Fumo. It didn't disappoint, but it was very standard. 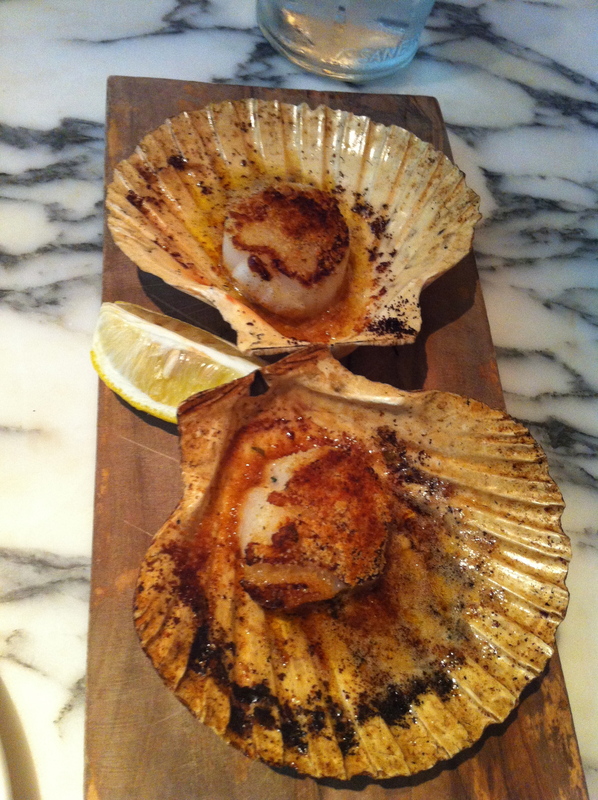 Scallops that were satisfactory, but were presented beautifully. The dessert was something of a delight, a menage of mini puddings and my date had a delicious apple strudel, that made up for the average scallops. I would go back for pre-drinks, as it has a wonderful little cocktail bar, a light meal, or if you want a sweet end to the day.